This entry was posted in Blog Debt on July 5, 2016 by admin. UK debt recovery provides a valuable service to their clients. Getting debt that is owed to a company is not an easy thing to do. It actually requires a lot of hours spent making phone calls, sending letters, and sorting through documents. This is a process that takes up so much time so it is wise to pass the job onto the professionals. Debt recovery specialists know what it takes and are willing to put in the hours to get the job done. 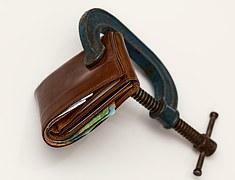 There are many reasons why a debtor is not paying their bills. They may have lost their job, moved locations, or just forgot about the bill. Other times debtors just don’t want to pay their bills and they need encouragement to do so. It is the job of a debt collector to make contact and negotiate payment. They will send letters to debtors via regular mail and email. In addition, they will make phone calls. Specialists will do what they have to, according to the law, to negotiate a repayment plan if the debtor cannot pay in full. If it requires a trip to a court of law, they are also equipped to handle that. It is not uncommon for a large company to be owed a significant amount of money from their customers. Rather than spending valuable human resource hours on UK debt recovery, it is best to hire this task out to a company who is skilled at debt recovery. It is not reasonable for a company to expect their own employees to do the work that it requires to get the money that is owed. Employees’ time is best spent making money for the company doing the job that they were hired to do! There are many reasons why a person cannot pay their debts but there is one good reason to hire a UK debt recovery specialist. Professionals who know how to make contact with a debtor will save a company a lot of money by not only recovering the debt that is owed but also by preserving on the job man hours. Once the task is hired out a company can forget about it and move on with running their business as usual.